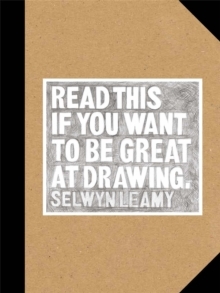 This book demystifies the art and practice of drawing. Through fifty drawings by great masters past and present, the techniques and ideas behind their master sketches will put you on the path to making your own great drawings. The entries also feature exercises with step-by-step instructions as well as simple diagrams providing further visual explanation to the jargon-free discussion. For aspiring artists of all ages and abilities, Read This if You Want to Be Great at Drawing will motivate and strengthen your drawing talent.